3 Road Runner has been added to your favorites! 3 Road Runner has been removed from your favorites! HILTON HEAD ISLAND. 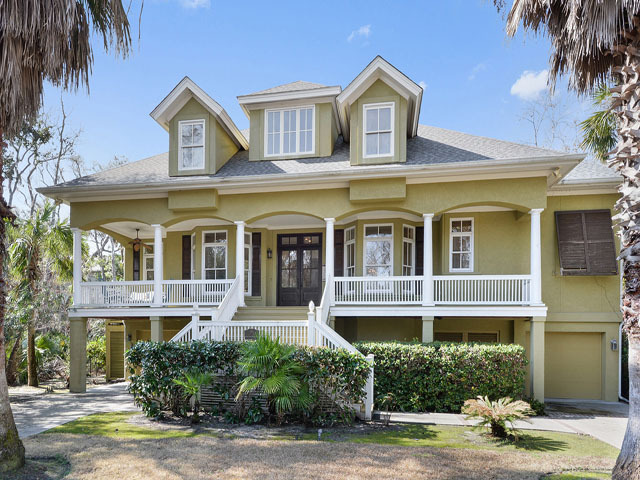 This beautifully appointed 4 bedroom cottage is just moments from Hilton Head's North Forest Beach. The living room comes with comfortable furnishings including a sleeper sofa, wall-mounted flat-screen TV and opens to a dining area for 6. Off the dining area is a terrific screened porch with lovely wicker furnishings and a charcoal grill. 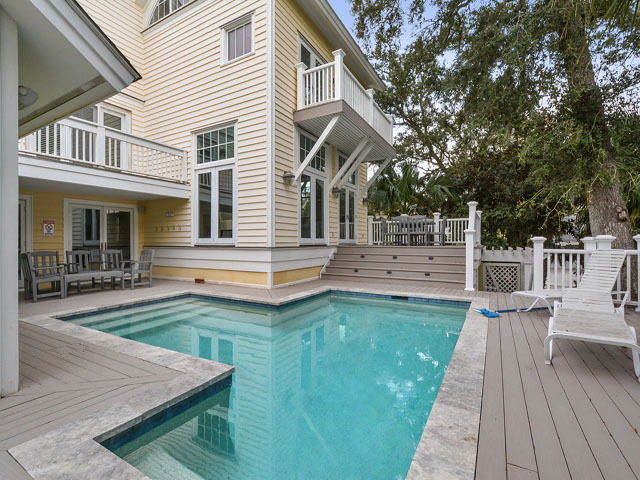 11 steps lead you to your own private pool and spa. This house also features a sun deck with a slight view of the ocean—this is a great location for enjoying the afternoon sun. Back inside on the first floor you will find 2 bedrooms—one has a king bed and the other has 2 twins. Each has a separate bath. 15 steps lead to the second floor with 2 more bedrooms. The first has a king bed, TV and a private bath. The next has two twin beds, TV, and a private bath. Just a 2 minute walk to the beach, this wonderful home has everything you will need for a great getaway! *Pool and spa may be heated for an additional fee.
" 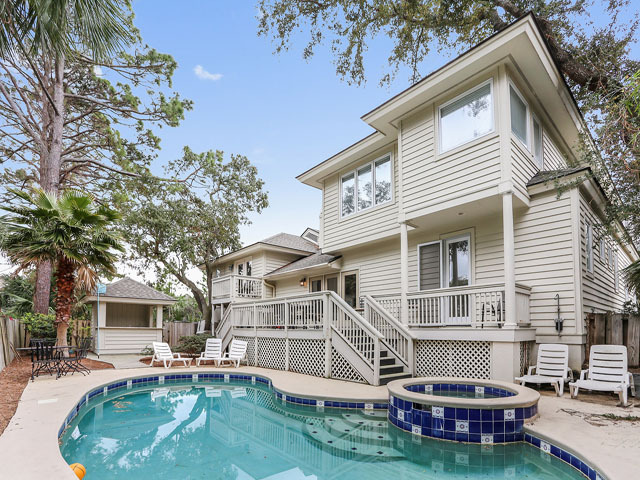 Hometown: Atlanta Arrived: 3/30/2019 Departing: 4/6/2019 Title: March 2019 Stay Value: 5 Experience: 5 Property: 5 Overall: 5.00 We are former residents of HHI and were looking to return for Spring Break. We loved playing “tourist” for a week at this house! 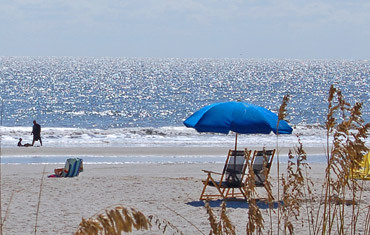 The location was perfect, close enough to Coligny to enjoy the activities, but far enough not to be bothered by crowds. The beach is such a short walk and uncrowded. We did not use the pool, but it would be a nice spot after a hot summer day. The house had all the things we were looking for, will definitely rent here again! "